Surf lessons are available every day the surf is up for kids of all levels of ability, fitness from 5 years and older. The group lessons are a mixed class of adults and kids so you can surf with your kids! Or if you prefer, a private group lesson or birthday party can be arranged just for the kids. We are a fully mobile surf school see our locations! 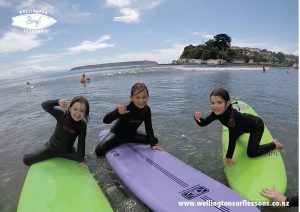 Wellington Surf Lessons run classes for kids & adults, come rain or shine, even in winter. All kids are provided with the right surfboard and wetsuit to get them having the most fun and learning quicker. 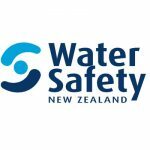 Please email us at [email protected] for more info or text us on 0211764073 to receive text alerts when we are running classes.